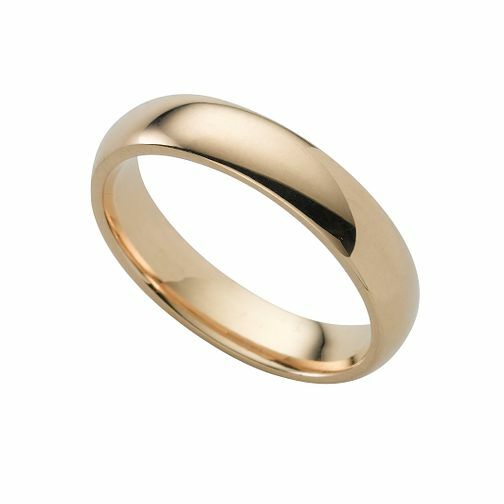 Smooth 18ct yellow gold is crafted into a lovely delicate, yet super heavy weight court ring . 4mm. An extra heavyweight wedding ring.